This spring I bought a tuber of Amor atroviridis, which I planted in the garden. It is getting cold outside so I have taken the plant home. I'm afraid if it doesn't put the leaf the tuber will weaken or die. What to do? Water it still or wait? I have the same problem like Marek. 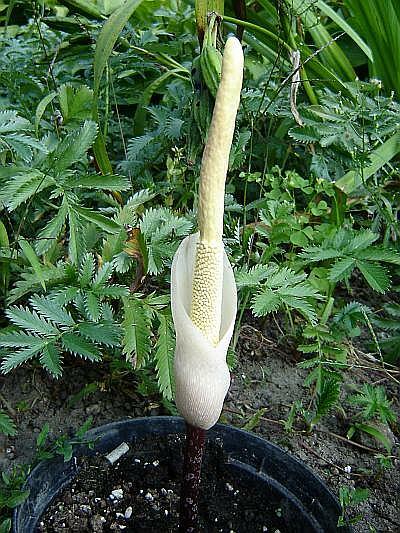 My Amorphophallus atroviridis also boomed in June this year and until now there is no leaf at all. The same happened with my 1.5 Kg bulbifer tuber. After blooming in June nothing happens. Should I let it in the soil or store it outside for winter ? will bring out a leave next year?! 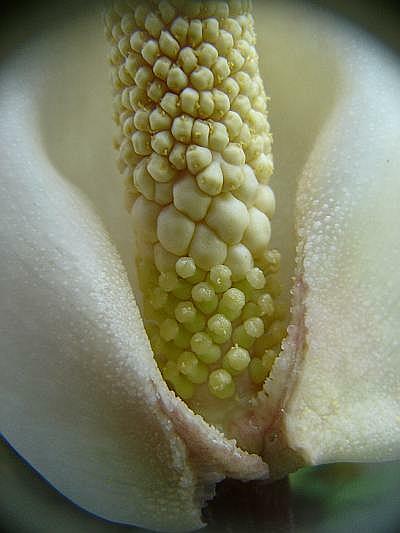 Btw, the smell of the inflorescence was like cheese (or dirty feet)! > It is getting cold outside so I have taken the plant home. > to do? Water it still or wait? Gibsonia, PA where it is way too cold at night for Amorphs to be outside and avoid rot! Yesterday I got the answer from Scott Hyndman. It grows in a biennal cycle. One season it blooms and if pollinated, the fruits ripen and in the next season it puts up a leaf.